Are You Planning Your Personal Finances with the Same Focus as Your Other Life Goals? Most of us are extremely proud of our life goals – of building a home, of traveling the world, or of reaching a position of relevance in society. However, we do not show the same level of seriousness when it comes to planning our life’s financial goals. But most of us don’t agree – after all, we do take a whole lot of insurances, mutual funds, and investment policies. But how well do we really plan our personal finances? Is there a better way of managing our personal finances? Let’s find out. How many of us actually sit down to determine how much our monthly expenses are. Our parents used to have their expenses diary. Are we even tracking our monthly expenses in an excel sheet? Not really! A person with a salary of about 1 lakh is confident about using the money to meet life’s multiple goals. But have you really thought about emergency funds? How much can you afford to spend on your essential expenditures and your wants, entertainment, and luxury-based expenses on a monthly basis? How much money do you finally land up saving? Are any of these savings bringing you additional income? These are all critical questions you should be asking yourself on a monthly basis? There’s no point in blindly making investments – for example, a long-term educational investment for your child without any idea of how much return you will be gaining when the investment matures. Remember to account for inflation and extrapolate the value of your returns. If the returns are not going to be great, you can as well place it in another sensible investment with higher liquidity. Always map your investments to specific life goals and then extrapolate to see how the investment returns are going to support you achieve your goal X years from now. Investments come with a wide range of risk profiles. Yes, the general assumption is that the younger you are the greater the risk that you can afford. However, every person’s risk-taking ability is unique. Hence, weigh the returns against the risk and then carefully decide whether you can afford to take the step forward. At the face, most investments do not highlight the risk quotient. Moreover, low risk often means poor returns so make sure you have all the details in hand before you take the call. The finance market’s climate changes and so does your financial condition. Hence do not assume that planning personal finances are a one-time job. You will regularly need to revisit your income-saving-expenses-needs and wants the balance to be sure that the ratio of your personal finances is in shape and also revisit your investment packages to be sure that you are still gaining. Do not rush to taking decisions just because an investment plan is temporarily performing poorly. Assess carefully before you take any decision. Experienced financial advisory services or an expert investment advisor can support you in understanding the gap between your life goals and financial goals. Of course, you can get all of this done on your own. But with the help of a strong financial advisor who uses the latest cognitive tools you can derive a robust financial plan based on the current market scenario. Making investment plans and tracking your financial health is as critical as planning your life goals. Hence make sure that you value the plans you make for your personal finances as much as you value your other life-critical decisions. PrognoAdvisor is your trusted online financial planning service from India, with extensive expertise in understanding you're specific financial and life goals and guiding you achieve these goals with confidence. 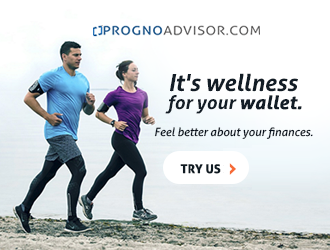 Connect with our financial advisors at Prognoadvisor.com to understand how you can simplify the entire process of personal financial planning in terms of both long- and short-term investments that help you achieve smart wealth creation and management, delivering, of course, some smart tax savings.